Following the death of Prophet Mohammed (PBUH), there was never a discord about the essence of Islam. The pillars of Islam, the Quran, the matters of worship, and all other principles that guided and organized Muslims’ lives were all incontrovertible. Political conflicts, however, began to emerge. These differences were attributed to Arab partisanship and quarrel over who should succeed the Prophet as a caliph. Partisanship was non-existent during the time of the Prophet (PBUH) and never surfaced until the caliphate of Uthman ben Affan, the third caliph. The Quran clearly states that the most noble of Muslims in the sight of Allah is the most righteous. Besides, the Prophet says that whoever calls to a partisanship does not belong to Islam, and that an Arab possesses no superiority over non-Arab, rather it is piety and God-fearingness that determine the superiority. Towards the end Othman’s caliphate, a violent and ugly partisanship began to loom. The very first dispute started between the Umayyads الأَمَوِيُون, the descendants of Banu Umayyah clan, and the Hashemites الهَاشِمِيُن, the descendants of Banu Hashim clan, both of whom belong to the same tribe, Quraish. These two families were prominent and had fierce competition for authority within Quraish tribe in the pre-Islamic period. Their thirst for power emerged some years after the death of the Prophet. The emergence of the Khawarij / Kharijites الخَوَارِج during the era of fourth caliph, Ali, was another manifestation of partisanship. Their esprit de corps was a reminiscent of pre-Islamic long tribal fights. The Kharijites were mainly from the Rabi‘ah رَبِيْعَة tribe, while their rivals belong to the MuDHara مُضَرَ, two umbrella Arab tribes that had many sub-tribes. Quraish and the Prophet are ancestries of MuDHara, while the Kharijites are offspring of Rabi‘ah. Therefore, their revolt against Iman Ali, the fourth caliph, was ignited by past tribal rivalry. The dispute over the caliphate erupted right after the death of the Prophet (PBUH). The Ansar الأَنْصَار, who embraced Islam and gave shelter and support for the Prophet upon his escape from Mecca during the early days of Islam, wanted the caliph to be one of them. The Muhajirun المُهَاجِرُون ‘the emigrants’, who accompanied the Prophet from Mecca to Madinah, wanted the caliphate. Although the Ansar were in a better position, their strong belief in Islam far outweighed their greedy for power. Consequently, the conflict was resolved, and Abu Bakr was named the first caliph of Islam. Much later, namely during the era of the third and fourth caliphs, the caliphate dispute reemerged. This time the argument was over whether the caliph must be from Quraish, should be restricted to the Prophet’s family, namely the Prophet’s grandsons, or can be a Muslim regardless of tribal and family lineage given that piety is the determinant of superiority. The dispute, this time round, was too vile to resolve or contain. This resulted in the biggest political divisions in Islam into Shiites and Kharijites, among other groups. Although fourteen-century old, it is still so self-evident today, an ugly and vile dispute between Shiites and Sunnis. There existed other triggers that fueled the political differences and hostilities. These include the influence of new converts who were primarily Jews يَهُوْد, Christians نَصَارَى, and magus مَجُوس; the propagation of narratives and storytelling; and the spread of philosophical thoughts. The birthland of Islam was surrounded by many religious beliefs, the most renowned of which were Judaism اليَهُوْدِيَّة, Christianity النَّصْرَانِيَّة, and Zoroastrianism المَجُوسِيَّة. Massive influxes of the followers of these religions converted to Islam. Ideologies of their former religions affected their slants and understanding of Islam. That is, using their past religious beliefs as reference points whenever facts that concerned Islam and its teachings arose was unavoidable. This, in turn, created tensions and controversies among Muslims. Besides, some converts had converted with the aim of distorting Islam and attacking it from within. Take the case of Saba’yya Shiites الشِّيْعَة السَّبَئِيَّة, followers of Abdullah ibn Saba. Their sanctification of Imam Ali was intended to distort mainstream Shiism and instigate further divisions between Muslims. Storytelling emerged during the caliphate of Uthman. Skillful narrators based their stories on myths and superstitions, some of which were mistakenly based on previous religions. Although it was restricted during Imam Ali’s era, it thrived during the Umayyad caliphate. Since these stories carried some religious characteristics, they found ways into the books of tafsir (i.e. explanations of the meanings of the Quran) and Islamic history books. This created controversies, disagreement, and political divisions among Muslims, some of which persist till these days. The translation of Greek and Roman philosophies into Arabic resulted in more political and religious conflicts among Muslims. Philosophical reasoning, logic, and metaphysical speculations affected Islamic thought especially during the Abbasid Caliphate. For example, the Mu’tazilites المُعْتَزِلَة adopted purely philosophical approaches to justifying different teachings and principles of Islam. Their rationalist methodology to examining and understanding Islam and abstract Islamic matters, such as the attributes of Allah and divine justice flared up various controversies and conflicts. Some of the issues that instigated political conflicts and ideologies in the early days of Islam still exist in Modern Islamic thought. Take the ideological differences between Shiites and Sunnis, especially between Iran and Saudi Arabia, and the emergence of the Islamic State of Iraq and al-Sham (ISIS) who many call the neo- Kharijites. Some, like the Muslim Brotherhood, still believe in the concept of the caliphate. 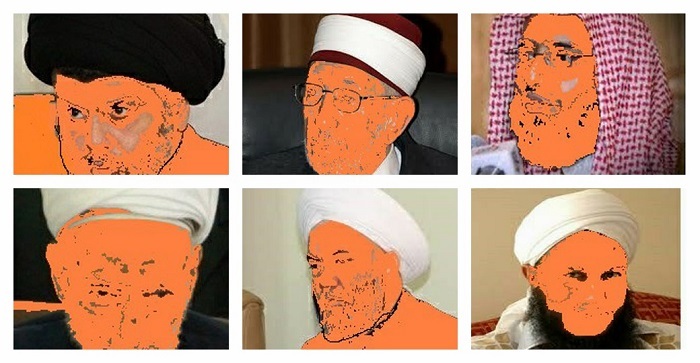 Should their dream come true, who would make the right caliph for them? There are no comment for this article at this moment. Add new comment . Seeking to learn and ameliorate your knowledge of Arabic, find some Arabic linguistic solutions, or acquaint yourself with different aspects of Arabic culture and history, you have come to the right place. Ibnulyemen Arabic has considerable experience in language instruction and various linguistic analyses spanning over ten years. With our training in language teaching and linguistics and cultural background, we are capable of meeting your needs and carrying out tasks expertly.